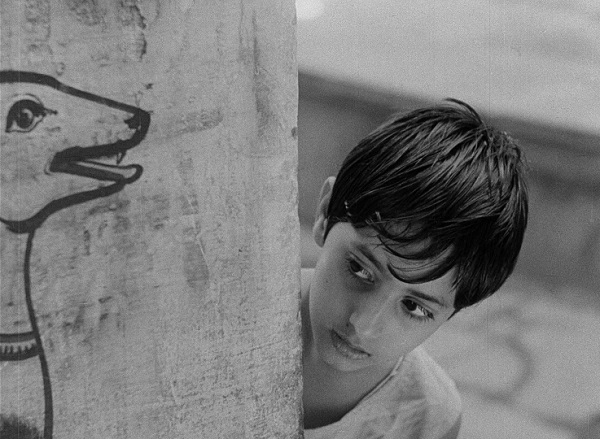 I’ve always said that although it’s called “The Apu Trilogy”, Pather Panchali is really about Durga and Aparajito is really about Apu’s mother, Sarbojaya. But on this viewing, I realized that I was wrong about the second part. The narrative does put some of its focus on the mother, but I would say most of it is devoted to Apu’s life and viewpoint. It’s about his choices and his aspirations. He is more than a pair of eyes here… he has agency and introduces change. I also said in an earlier view that I think Ray judges Apu too harshly here, but again I’ve changed my mind. I don’t see judgment being passed. Whether Apu could have done things differently (and whether it would had any impact either way) is up for debate… the film doesn’t force an opinion on it. It’s hard to discuss specifics without getting into spoiler territory, but to me he doesn’t do anything out of line. In essence, he is a kind and thoughtful person, but like any adolescent he’s starting to form a life for himself. Ray’s humanist slant invites us to explore emotion and motivation rather than assign blame. It’s one of the things I love about his work. No one is condemned outright for their flaws and mistakes. This entry was posted on December 15, 2015 at 4:26 pm	and is filed under Movie Reviews. You can follow any responses to this entry through the RSS 2.0 feed. You can leave a response, or trackback from your own site. An aweseome review. Now need to watch it. Love Indian movies… but I’ve seen mostly new ones like Udta Punjab (http://putlocker.as/6143-udta-punjab-2016.html) or so.